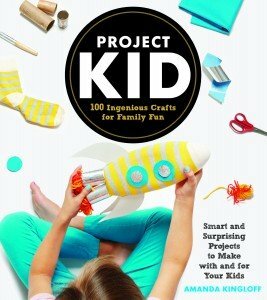 PROJECT KID: 100 Ingenious Crafts for Family Fun (Artisan Books; $22.95) by Amanda Kingloff is an innovative new kids craft book reviewed by Ronna Mandel. Kingloff, former Parents magazine lifestyle director, is a DIY pro so there’s really no need to go elsewhere. Here’s one of the best things about being a kid – making stuff!! Here’s one of the best things about being a parent, grandparent or caregiver – making stuff with kids!! 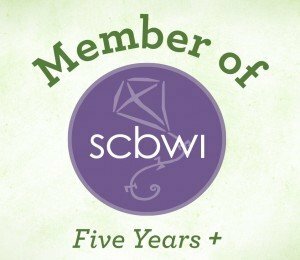 Here’s one of the best things about Artisan Books – they’ve allowed Good Reads With Ronna to share the beautiful Bookworm Envelopes Project with you! Scroll down to find instructions then, after trying the craft, visit the Project Kid website at projectkid.com to get as excited as I am about the book. I have a “craft closet” that has traveled around the world with me. I wouldn’t be surprised if a lot of you reading this have one, too. I’ve also got hundreds of buttons I’ve been saving since the sixties that have been used countless times in a myriad of ways. Maybe you’ve been hanging onto your favorite old fishnet tights, or perhaps you stockpile single socks whose mates were lost in the laundry long ago … whatever you keep on hand (toilet paper tubes, yarn, mesh produce bags), I am confident you’ll find a creative use for them with Kingloff’s inspiring and easy-to-use new craft book. After the introduction inside Project Kid, you’ll find Kingloff’s provided helpful Getting Started spreads showing Essential Tools, Crafty Materials and Household Items, all sharply photographed and well-labeled. Parents will appreciate the safety note, too. The contents pages describe the seven main sections of the book which are called Animal Kingdom; Hold Everything; Home Sweet Home; Playtime; Ready To Wear; The Great Outdoors; and Abstract Expressions. 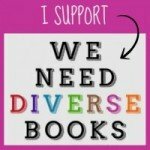 Additionally Resources, Acknowledgments and a Project Index are included. 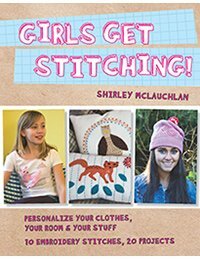 Plus if the book isn’t hands-on enough already, there are six Art Lessons throughout the 270+ pages from pom-pom making to fabric dyeing. Alexandra Grablewski’s photographs in Project Kid are excellent and give such a good idea of exactly what each craft is and its size. Here’s a sampling of some of my personal faves: Needlepoint Flyswatter on pg. 52; Dolly’s Oven-Mitt Sleeping Bag on pg. 150; and Bedazzled Branches on pg. 224. 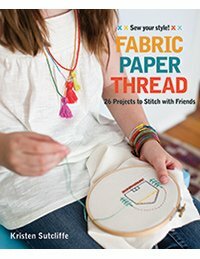 I hope you’ll consider Project Kid: 100 Ingenious Crafts for Family Fun your new go-to activity book and wish you months of crafting pleasure with your family! Now, don’t wait another minute. Pull your kids off the couch, put away any electronics and go get crafty with ’em! Since this is a book review blog, what better project to share with you all than one involving old book jackets? 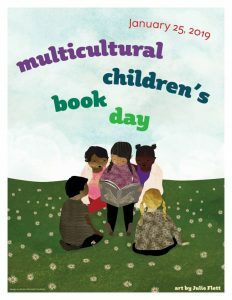 I can’t tell you how many times my daughter removed the book jackets from her books only to eventually donate the books without said covers. What happened? I became the proud owner of dozens of abandoned book covers I couldn’t bear to throw out. With this clever project you can breathe new life into those old book jackets and bring joy to their recipients. Bookworm Envelopes from PROJECT KID! 1. Carefully pull apart the seams of an envelope. 2. Trace the flattened envelope onto a dust jacket and cut it out. Make sure to position the template over your desired section of the jacket. 4. 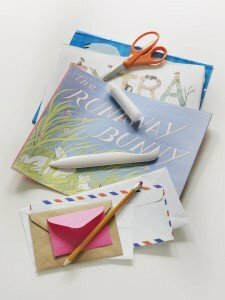 Use a glue stick to seal the envelope for mailing. 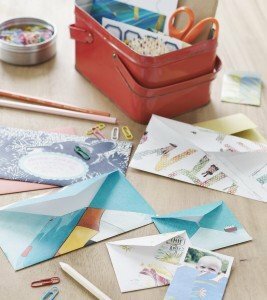 Use these envelopes to hold receipts, photos, memorabilia, or a note from a BFF on a bulletin board—or use one to mail grandparents a thank-you note for all the birthday books they’ve sent.